* Thursday and Friday: We will finish the unit 7 practice FRQ problems and go over the graphic organizers. * Graphic organizer assignment: Create a cognitive map (“web”) with ALL of the topics and formulas used so far this year. We will compare our organizers and create a giant poster-sized one in class, which I will photograph and post for you. This will be our only in-class review, and it will be brief. Therefore please be sure to use your time over break to begin your mid-term exam preparations. (Feel free to email me if you have questions. 🙂 ) The exam covers units 1-7, and all learning objectives are available on the front page of your notes for each unit. Here are the coolest science images of 2013 as compiled by the folks at i09. Enjoy! With one week to go before break, we are close to the end of the semester! When we return, we have one week plus a day before finals. Stay focused, and have fun! On Tuesday the FRQ Practice Problems FRQ Practice-Problems from unit 6 are due. This week we will begin to explore oscillations and gravitation in Unit 7. Guided reading 2 will be due, as announced. Depending on our progress we may complete a spring force constant lab this week, although there will be some disruptions to our schedule. Expect a quiz at some point during the week, but we will not test this unit before break. It marks the last of the content covered on the mid-term exam. We will continue to explore the work-energy theorem. If you have not yet completed the notes on the following podcasts, please be sure to do so by Monday: Podcast 7 – Work-Energy Theorem, Podcast 8 – Work-Energy Theorem Sample Problem 1, Podcast 9 – Work-Energy Theorem Sample Problem 2, Podcast 10 – Work-Energy Theorem Sample Problem 3, and Podcast 11 – Work-Energy Theorem Sample Problem 4. On Monday and/or Tuesday we will complete assignment 2 and take a quiz the next day. When announced (likely for Wednesday,) please take notes on Podcast 12 – Conservation of Energy, Podcast 13 – Conservation of Energy Sample Problem 1, and Podcast 14 – Conservation of Energy Sample Problem 2. We will cover these topics and begin assignment 3 together. When we return from break we will complete this unit, which marks the final topic covered on our mid-term exam. We will complete our prep-work on our planet presentations and then share the material with the class. We will cover comets, asteroids, and meteors and test this solar system unit on Friday. Please plan ahead to be prepared, since you may have tests in other classes that day. We talk a lot in class about being ready for college and career with your 21st century skills, and one of the most important skills is a creative mindset. Invention involves science and technology, but it also involves imagination. Check out these 25 inventions that Time Magazine has recognized as the best inventions of 2013. These inventions can help blind people see, paralyzed people walk, and can bring extinct animals back to life. What could you do if you used your imagination and science skills? While it seems as if we are almost done with the semester, we have just passed mid-quarter. Lots of time left…Let’s keep moving! We will continue to work on our linear momentum unit. The homework is due Tuesday, and our test will be Thursday. The Impulse-Momentum Theorem lab report is due Friday. Also for Friday to begin our next unit, please do Guided Reading 1 for Unit 7. For Monday please take notes on the following podcasts: Podcast 1 – Gravitational Potential Energy, Podcast 2 – Positive & Negative Potential Energy, Podcast 3 – Elastic Potential Energy, and Podcast 4 – Kinetic Energy. We will discuss these and then do assignment 1 in class, followed by a quiz. As announced, please take notes on Podcast 5 – Work, Podcast 6 – Positive & Negative Work, Podcast 7 – Work-Energy Theorem, Podcast 8 – Work-Energy Theorem Sample Problem 1, Podcast 9 – Work-Energy Theorem Sample Problem 2, Podcast 10 – Work-Energy Theorem Sample Problem 3, and Podcast 11 – Work-Energy Theorem Sample Problem 4. We will cover these topics and then do assignment 2, followed by a quiz, which will likely be the following week. On Monday we will finish our exploration of The Motion of the Inferior Planets followed by a quiz on Tuesday. We’ll spend the next day or two looking at The Motion of the Superior Planets followed by another quiz, after which we’ll turn our attention to the individual planets in a giant jigsaw activity. Other due dates: The Unit 4 – Homework Questions are due on Monday, and because of clouds we extended the due date for the Unit 3 – Outdoor Lab to this Friday. 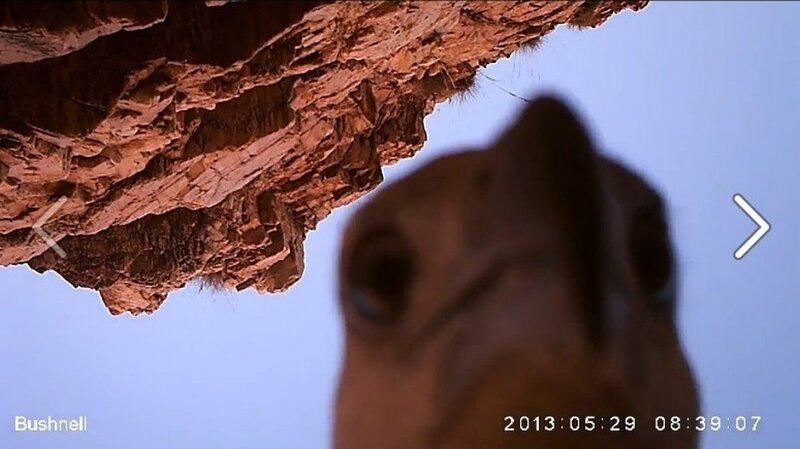 An eagle stole a camera! Flew right off with it…and then took a cute selfie. Check it out!